These two works provide a good example of an artist working within a theme using completely different materials to communicate a message. The conflicting meanings in the print took form in the sculpture. The bottom nest in Goodwill’s small plexiglass cabinet references a safe, healthy and peaceful environment. Goodwin uses an actual nest of a small bird. It is a foundAn image, material, or object, not originally intended as a work of art, that is obtained, selected, and exhibited by an artist, often without being altered in any way. The cubists, dadaists, and surrealists originated the use of found images / materials / objects. Although it can be either a natural or manufactured image / material / object, the term readymade refers only to those which were manufactured. Also known in the French, objet trouvé. (Artlex.com) object from the environment where the bird ‘parents’ worked cooperatively to create a place to raise their young and prepare them for survival. The top nest is constructed in much the same fashion, but the materials used are nails, wire and magnets. This man-made object is twisted and bent into a menacing form suggesting a threatened or uncomfortable home. Ecologically, this form could suggest a world where manufacturing and progress have destroyed or replaced the beauty of the natural environment. Philosophically, it could reference how life is not always as we would want it to be. Writer Brian Johnson says, "Goodwin's art aches with compassion for a suffering world. 'I'm not making a comment on a specific horror,' she [Goodwin] says, then goes on to talk with despair about Rwanda and Kosovo and ethnic massacre." (Johnson, 1998) Take some time to learn more about atrocities like those that have taken place in Rwanda and Kosovo and discuss the human condition with friends, fellow students, and teachers. Why do you think Goodwin used the glass cabinet and designed it as she did? What metaphorUsed in art as in speech. A term, regularly used for one object, is used for another and suggests a likeness between to the two. or additional ideas could the glass cabinet suggest in relation to the nests. How would the presentation and your perception of it change if the cabinet was horizontal? How would it change if she had not balanced the nests with the rock between? Writer Brian Johnson states, "What is remarkable about Goodwin's success is that in a predominately male art world where paintingWorks of art made with paint on a surface. Often the surface, also called a support, is either a tightly stretched piece of canvas or a panel. How the ground (on which paint is applied) is prepared on the support depends greatly on the type of paint to be used. Paintings are usually intended to be placed in frames, and exhibited on walls, but there have been plenty of exceptions. Also, the act of painting, which may involve a wide range of techniques and materials, along with the artist's other concerns which effect the content of a work. (Artlex.com) rules, she has made her mark by drawing." (Johnson, 1998) Do you think he has his facts are right? How could drawingDepiction of shapes and forms on a surface chiefly by means of lines. Colour and shading may be included. A major fine art technique in itself, drawing is the basis of all pictorial representation, and an early step in most art activities. Though an integral part of most painting, drawing is generally differentiated from painting by the dominance of line over mass. There are many sorts of drawing techniques, varying according to the effect the artist wants, and depending on whether the drawing is an end in itself — an independent and finished work of art -- or a preliminary to some other medium or form — although distinct from the final product, such drawings also have intrinsic artistic value. Preliminary drawings include various exercises (e.g., contour drawing, gesture drawing, figure drawing, drawing from the flat), as well as sketches and studies, cartoons and underdrawings. (Artlex.com) not be considered as important as painting? Think about losses in your life. How can tragedy affect people in different ways? Goodwin said in an interview with Deirdre Hanna, "The first thing any artist needs to have going for them is perseverance. Talent is way down at the bottom." (Hanna, 1998) Think about this comment; do you believe what she says? Writer Christopher Hume says, "Goodwin sees art as a process rather than a product. The pieces are what remains of the activity, its traces." (Hume, 1998) Would you accept this idea? Do you think the process is as important or more important than the product? John Bentley Mays talks about Goodwin's use of magnetism, "She is fascinated by magnetism, its invisibility and its strange power to bind, and do visible things…Magnetism, in Goodwin's mythic imagination, is a sign of the invisible unrelenting but finally frail energies that hold lives and hearts together, until the inevitability of more powerful energies of loss and death tears them apart." (Mays, 1993) How does the use of magnets add meaning to Nest and Stone? Can you see an attraction and repulsion in this work? Why do birds build their nests in particular locations? Learn about the nesting habits of birds. Move each image to a house below, placing the images on the chimney. Notice how changing the image changes the meaning. You can alter the colourProduced by light of various wavelengths, and when light strikes an object and reflects back to the eyes. Colour is an element of art with three properties: (1) hue or tint, the colour name, e.g., red, yellow, blue, etc. : (2) intensity, the purity and strength of a colour, e.g., bright red or dull red; and (3) value, the lightness or darkness of a colour. When the spectrum is organized as a color wheel, the colours are divided into groups called primary, secondary and intermediate (or tertiary) colours; analogous and complementary, and also as warm and cool colours. Colours can be objectively described as saturated, clear, cool, warm, deep, subdued, grayed, tawny, mat, glossy, monochrome, multicolored, particolored, variegated, or polychromed. Some words used to describe colours are more subjective (subject to personal opinion or taste), such as: exciting, sweet, saccharine, brash, garish, ugly, beautiful, cute, fashionable, pretty, and sublime. Sometimes people speak of colours when they are actually refering to pigments, what they are made of (various natural or synthetic substances), their relative permanence, etc. (Artlex.com) of the image or the houses by using the brush tool (first, select a colourProduced by light of various wavelengths, and when light strikes an object and reflects back to the eyes. Colour is an element of art with three properties: (1) hue or tint, the colour name, e.g., red, yellow, blue, etc. : (2) intensity, the purity and strength of a colour, e.g., bright red or dull red; and (3) value, the lightness or darkness of a colour. When the spectrum is organized as a color wheel, the colours are divided into groups called primary, secondary and intermediate (or tertiary) colours; analogous and complementary, and also as warm and cool colours. Colours can be objectively described as saturated, clear, cool, warm, deep, subdued, grayed, tawny, mat, glossy, monochrome, multicolored, particolored, variegated, or polychromed. Some words used to describe colours are more subjective (subject to personal opinion or taste), such as: exciting, sweet, saccharine, brash, garish, ugly, beautiful, cute, fashionable, pretty, and sublime. Sometimes people speak of colours when they are actually refering to pigments, what they are made of (various natural or synthetic substances), their relative permanence, etc. (Artlex.com) in the colourProduced by light of various wavelengths, and when light strikes an object and reflects back to the eyes. Colour is an element of art with three properties: (1) hue or tint, the colour name, e.g., red, yellow, blue, etc. : (2) intensity, the purity and strength of a colour, e.g., bright red or dull red; and (3) value, the lightness or darkness of a colour. When the spectrum is organized as a color wheel, the colours are divided into groups called primary, secondary and intermediate (or tertiary) colours; analogous and complementary, and also as warm and cool colours. Colours can be objectively described as saturated, clear, cool, warm, deep, subdued, grayed, tawny, mat, glossy, monochrome, multicolored, particolored, variegated, or polychromed. Some words used to describe colours are more subjective (subject to personal opinion or taste), such as: exciting, sweet, saccharine, brash, garish, ugly, beautiful, cute, fashionable, pretty, and sublime. Sometimes people speak of colours when they are actually refering to pigments, what they are made of (various natural or synthetic substances), their relative permanence, etc. (Artlex.com) box drop-down menu, then turn on the brush tool). Begin a drawing of an object or person on a large piece of paper. As you work and make “mistakes”, erase the marks but let the ghost of the mistakes remain. When finished drawing, look at the resulting image and decide what you can do to incorporate those “mistakes” into the design. These marks may add a sense of movement and enliven the image. Try adding some watercolourAny paint that uses water as a solvent. Paintings done with this medium are known as watercolours. What carries the pigment in watercolour (called its medium, vehicle, or base) is gum arabic. An exception to this rule is water miscible oil paints, which employ water as their solvent, but are actually oil paints. Colours are usually applied and spread with brushes, but other tools can also used. The most common techniques for applying watercolour are called wet-on-dry and wet-on-wet, along with the dry brush techniques dry-on-dry and dry-on-wet. Colours can be removed while still wet, to various degrees by blotting. Most watercolour painting is done on paper, but other absorbent grounds can also be employed. The papers most favored by those who paint with watercolour is white, very thick, with high rag content, and has some tooth. (Artlex.com) washes, charcoal, text, other images, or maybe accentuate some lines to complete the work as a drawing. Use everyday objects found in the home or nature, to speak about a greater human condition. Use a monoprint printmakingA print is a shape or mark made from a block or plate or other object that is covered with wet colour (usually ink) and then pressed onto a flat surface, such as paper or textile. Most prints can be produced over and over again by re-inking the printing block or plate. Printmaking can be done in many ways, including using an engraved block or stone, transfer paper, or a film negative. The making of fine prints is generally included in the graphic arts, while the work of artists whose designs are made to satisfy the needs of more commercial clients are included in graphic design. (Artlex.com) process to produce an artwork. Roll black inkLiquid or paste media containing pigment(s) and used for writing, pen and brush drawing, and printing. Writing inks, even blacks, are rarely sufficiently permanent to be used for art purposes. Black drawing ink, known as India ink in the United States, is especially made for use in permanent works. When it dries it is water resistant, enabling it to be gone over with a wash or watercolour. Also available is a water-soluble drawing ink; though otherwise permanent, it is capable of being washed away with water, and may be preferred to water-resistant ink for certain work. Chinese ink is similar to India ink, although various minor ingredients are added to enhance its brilliancy, range of tone, and working qualities. Most colored drawing inks are not permanent; those made with permanent pigments are usually labeled with names of pigment ingredients rather than the names of hues. Printing ink is actually more closely related to paints than to the pen and brush inks. (Artlex.com) evenly over a glass or plexiglass surface. Do not use too much ink but have enough so the surface(an element of art) The outer or topmost boundary or layer of an object. Colours on any surface are determined by how incident rays of light strike it, and how a surface reflects, scatters, and absorbs those rays. The material qualities of a surface, as well as its form and texture further determine how it is seen and felt. (artlex.com) See also texture. is evenly covered. At this point you can go in two different directions. You could lay a paper over the inked surface(an element of art) The outer or topmost boundary or layer of an object. Colours on any surface are determined by how incident rays of light strike it, and how a surface reflects, scatters, and absorbs those rays. The material qualities of a surface, as well as its form and texture further determine how it is seen and felt. (artlex.com) See also texture. and draw on the paper. Anywhere you touch the paper the ink will transfer to the paper. Use a pencil to create dark lines; lightly touch with your fingers to produce tones. Draw directly into the inked surface. Lay a white paper over the drawingDepiction of shapes and forms on a surface chiefly by means of lines. Colour and shading may be included. A major fine art technique in itself, drawing is the basis of all pictorial representation, and an early step in most art activities. Though an integral part of most painting, drawing is generally differentiated from painting by the dominance of line over mass. There are many sorts of drawing techniques, varying according to the effect the artist wants, and depending on whether the drawing is an end in itself — an independent and finished work of art -- or a preliminary to some other medium or form — although distinct from the final product, such drawings also have intrinsic artistic value. Preliminary drawings include various exercises (e.g., contour drawing, gesture drawing, figure drawing, drawing from the flat), as well as sketches and studies, cartoons and underdrawings. (Artlex.com) and press the paper into the ink. Anywhere you draw into the ink will be white and where the inkLiquid or paste media containing pigment(s) and used for writing, pen and brush drawing, and printing. Writing inks, even blacks, are rarely sufficiently permanent to be used for art purposes. Black drawing ink, known as India ink in the United States, is especially made for use in permanent works. When it dries it is water resistant, enabling it to be gone over with a wash or watercolour. Also available is a water-soluble drawing ink; though otherwise permanent, it is capable of being washed away with water, and may be preferred to water-resistant ink for certain work. Chinese ink is similar to India ink, although various minor ingredients are added to enhance its brilliancy, range of tone, and working qualities. Most colored drawing inks are not permanent; those made with permanent pigments are usually labeled with names of pigment ingredients rather than the names of hues. Printing ink is actually more closely related to paints than to the pen and brush inks. (Artlex.com) transferred to the paper will be black. See images below. Add pieces of paper or foundAn image, material, or object, not originally intended as a work of art, that is obtained, selected, and exhibited by an artist, often without being altered in any way. The cubists, dadaists, and surrealists originated the use of found images / materials / objects. Although it can be either a natural or manufactured image / material / object, the term readymade refers only to those which were manufactured. Also known in the French, objet trouvé. (Artlex.com) materials to your inked plate. Lay a sheet of paper on top of your compostion and carefully rub the back of the sheet of paper. The ink will transfer to the paper where it is not blocked by your design. The background of your print will be black or shadesDark value of a colour made by adding black. of grey while your designA plan, or to plan. The organization or composition of a work; the skilled arrangement of its parts. An effective design is one in which the elements of art and principles of design have been combined to achieve an overall sense of unity. Also [applied design], the production of attractive and well crafted functional objects. Subcategories of the design arts include: architecture, bonsai, fashion design, furniture design, graphic design, ikebana, industrial design, interior design, landscape architecture, stagecraft, textile design, and Web page design. (Artlex.com) will remain white. See images below. Lift a corner of your paper off the inked plate and check to see if you need to add further details or tones. As long as the paper is not released totally from the ink you can carefully lay it back down and add more detail. Sometimes what you have in mind when you started is not what you end up with in your print. Take a moment to assess your results and be open to accepting what you have produced. The spontaneous patterns and tones transferred to the paper can be very pleasing or ‘happy accidents’. You can often appreciate these ’happy accidents because they are can add an air of mystery or interesting tonal variations that would otherwise be difficult to produce. Dault, Gary Michael. ‘An Unabashedly Moving Experience.’ Globe and Mail, October 30, 2004. Driedger, Sharon Doyle. ‘Bodies and Blood: Betty Goodwin Depicts Profound Inner Landscapes.’ MacLeans, December 4, 1995. Freedman, Adele. ‘Swimmer.’ Canadian Art, Winter 1984. 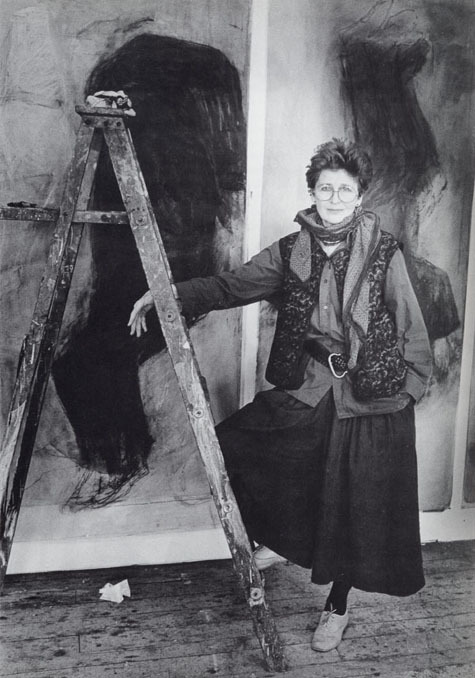 Grande, John K. ‘Betty Goodwin.’ Art Forum, November 1991. Hanna, Deirdre. ‘Betty Goodwin: Brutal Truths Gnaws at Canadian Art Icon.’ Toronto Now, November 12-18, 1998. Hume Christopher. ‘Reluctant Art-Star Lets Her Paintings Do the Talking.’ The Toronto Star, Saturday, November 21, 1998. Johnson, Brian. ‘Body Language.’ MacLeans, November 30, 1998. Mays, John Bentley. ‘Plumbing the Depths of the Unsayable.’ The Globe and Mail, Sunday June 6, 1992. ---. ‘With Steel In Her Heart and Iron In Her Soul.’ The Globe and Mail, Saturday, April 24, 1993. ---. ‘Betty Goodwin Given Her Due.’ National Post, November 18, 1998. Jury Citation. News Release. Canada Council of the Arts. 2003.